Magento by default has states only for few selected countries and you might want to include your country’s states in your site for various purpose, to give a select option in state on checkout page, to configure some rules etc. Step 1: directory_country_region.csv => this should include four colums region_id, country_id(in ISO-2), region code, region name. locale => ex. en_us etc. take region_id from previous file and change the default name to the locale. It is not compulsory to fill this table, you can skip it, unless you want to support multiple locale. I recently came to know about twitter cards from my brother, As such twitter allows only 140 characters to tweet, but to compete with Facebook they have launched a feature called twitter cards. Basically after adding the specific twitter meta tags to your page, twitter will give an option to expand the post, after expanding the post, user will see photo, title, description with link to your site, for example visit this funnychutkule’s twitter page. This is a great feature from twitter to promote your website and in my point of view it is a must. I have written a small Twitter card plugin to add the twitter meta tags to your website’s product page, Click here to visit official magento connect page of this twitter card plugin. 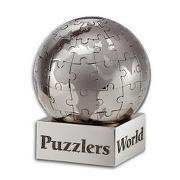 How to install Twitter card Magento plugin from puzzlersworld? Go to System->Magento Connect->Magento Connect Manage. You need to login again with the same credentials as in first step. Paste this extension key http://connect20.magentocommerce.com/community/Pw_Twittercard under Install New Extensions section and click on install. Confirm the installation once again, after installation you have to set your twitter username.